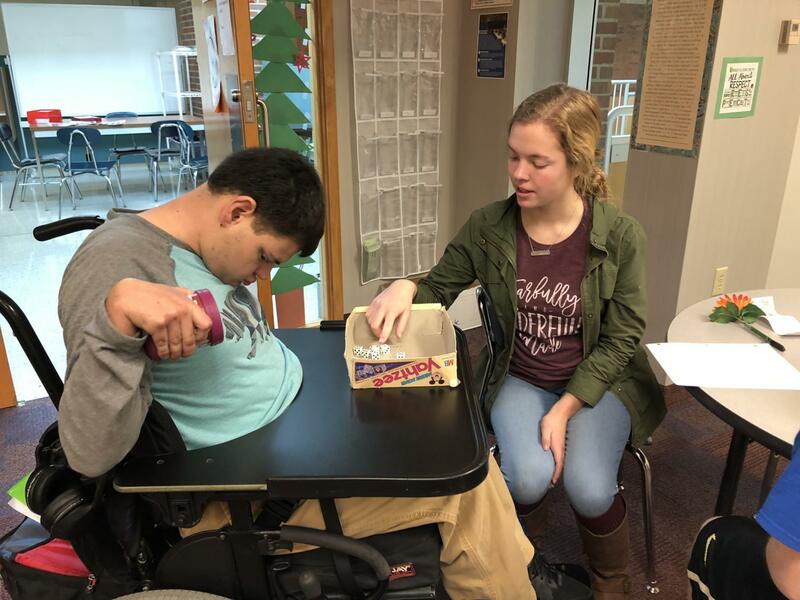 Best Buddies president Anne Schuh plays Yahtzee with a student with special needs. 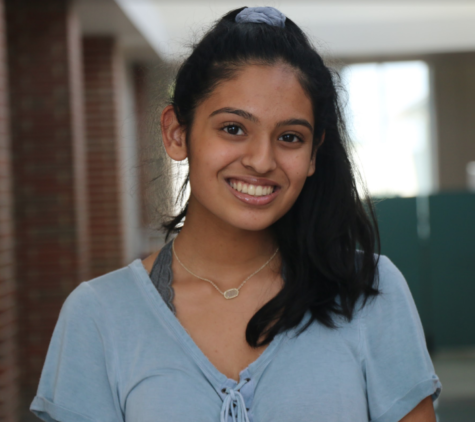 Anne spends her SRTs in D206, where she can spend time with peers with disabilities and aid Best Buddies sponsor Dana Lawrence. The Best Buddies club plans to start this semester with a bowling night for its members. The bowling night will take place on Jan. 28. Best Buddies president Anne Schuh said the bowling night has been successful in the past and that members with special needs enjoy bowling due to its accessibility. The members will spend time together, bowl and play arcade games. Best Buddies sponsor Dana Lawrence said that members really like events where they can mingle with each other while they participate in another activity. Best Buddies officer Molly Shaffer said the club hosted the late start breakfast last year and that a lot of people showed up and enjoyed it.